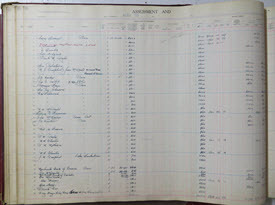 The Town of Grande Prairie Assessment and Tax Records of 1920 and 1921 was a cooperative indexing project between the South Peace Regional Archives › and the volunteers of the Grande Prairie Branch. 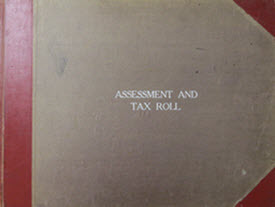 This transcribed and alphabetized version of assessment rolls provides electronic access to an early population and land assessment records for this area. It has been designed to find information about the rich history of the Town of Grande Prairie and past citizens conveniently for family historians and local history buffs. Information about each assessment includes: first and surname of tax payer, the legal description as: lot, block and plan number or section, township and range; cash value of the real estate; and other pertinent information about taxes for that property.